The Clydeside Distillery, Glasgow’s newest whisky distillery and visitor centre, has appointed Alistair McDonald as Distillery Manager. Alistair brings with him over 30 years of whisky knowledge and expertise having previously worked for Beam Suntory as Distillery Manager at Auchentoshan. At The Clydeside, Alistair will use his wealth of knowledge, skills and experience to oversee all aspects of whisky production, from raw materials to the creation of the new single malt whisky due to start production in September. Originally from Islay, Alistair began his career as an Apprentice Distillery Engineer at Bowmore Distillery before moving to Auchentoshan where he spent almost 10 years. A promotion followed in 1997 when he was appointed Distilleries Engineer to oversee operations at Auchentoshan, Bowmore and Glengarioch distilleries, and at the company’s headquarters at Springburn. In 2011 Alistair became Distillery Manager at Auchentoshan where he was able to apply his passion and experience in the creation of an internationally-renowned whisky brand. 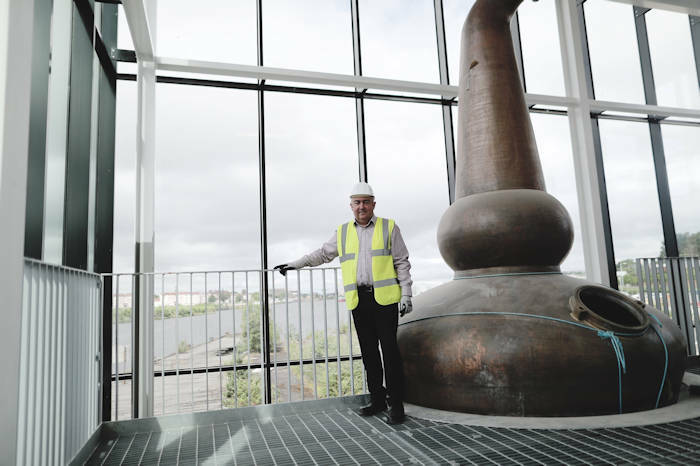 The new £10.5m Clydeside Distillery will see the iconic Pumphouse between the Riverside Museum and SEC transformed complete with an interactive whisky experience and visitor centre with specialist whisky shop and café. Speaking about his appointment, Alistair said: “This is an incredibly exciting and historic project to be part of. I have been in the whisky industry for over 30 years and to be joining The Clydeside Distillery from the beginning, creating our new make spirit, is very special and a dream come true. The Clydeside Distillery owned by Morrison Glasgow Distillers Ltd will create up to 25 jobs when it becomes fully operational. Andrew Morrison, Commercial Director, Morrison Glasgow Distillers Ltd, said: “The Clydeside Distillery will be a fitting tribute to Glasgow and Scotland’s influence on the whisky industry. Not only are we preserving the heritage of one of the city’s most iconic landmarks, we are transforming it into a contemporary, stylish distillery and visitor attraction which will tell the story of Glasgow’s historic links with whisky, the Queens Dock and the Pumphouse.